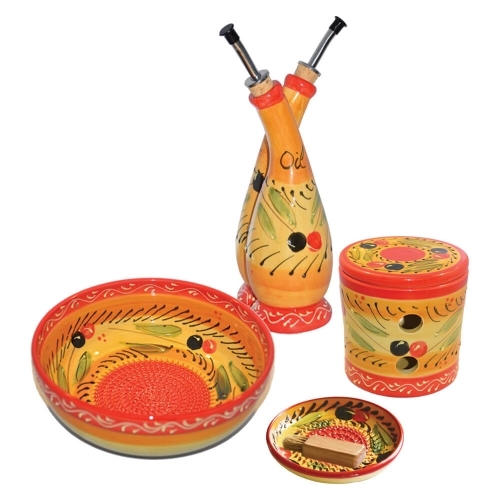 This stunning 4-piece set truly captures the tradition and charm of Spain and the Mediterranean. 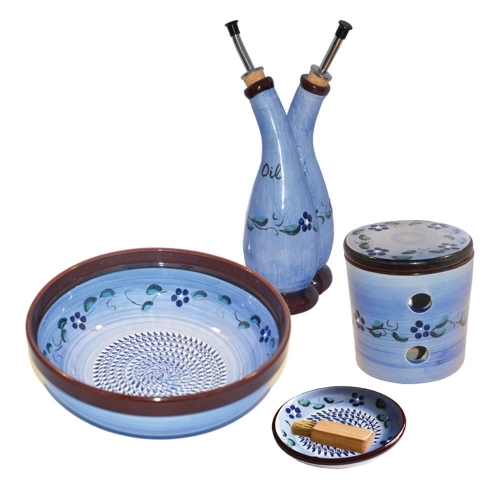 Each piece is hand crafted by master potters and hand painted with love by Spanish artisans. 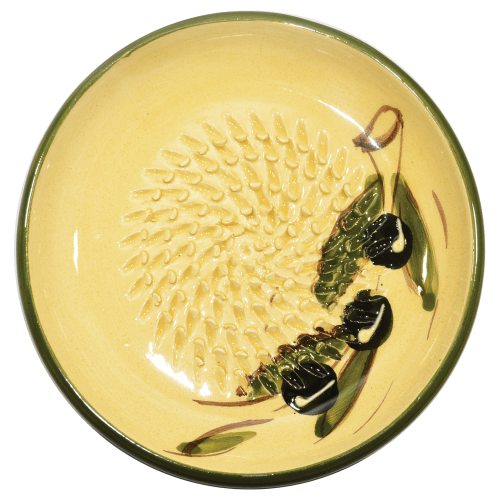 Our top-selling product – The Little Spanish Grater Plate, brush + instructions. This little addition to your kitchen will bring amazing flavours into your cooking. Once you use it you will never look back! The Traditional Spanish Rasping Salad Bowl + instructions. This is amazing for making your own sauces, salad dressings and marinades. These also go in the oven. Just prepare and serve all in one! Our Stylish all in one Spanish Oil and Vinegar bottle. 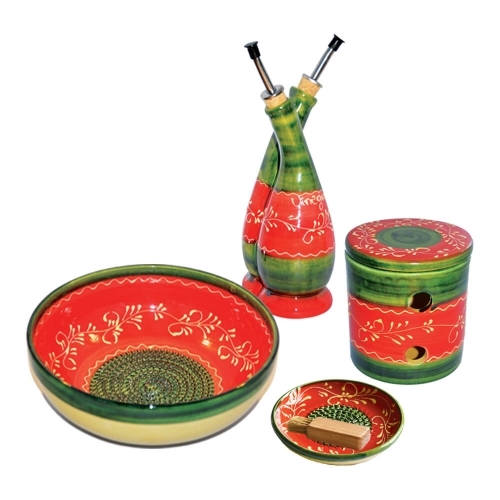 With it’s own unique design this will be the centrepiece of your dining table. Keeps your garlic fresher for longer. 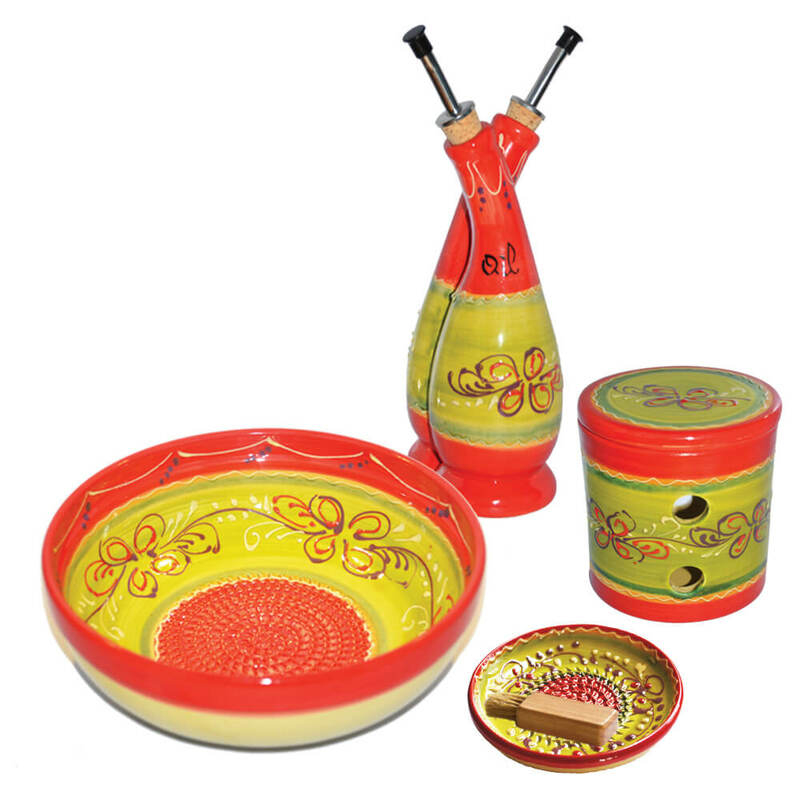 It also doubles as a garlic roaster, to product mouth watering caramelised garlic that you friends will be envious of. 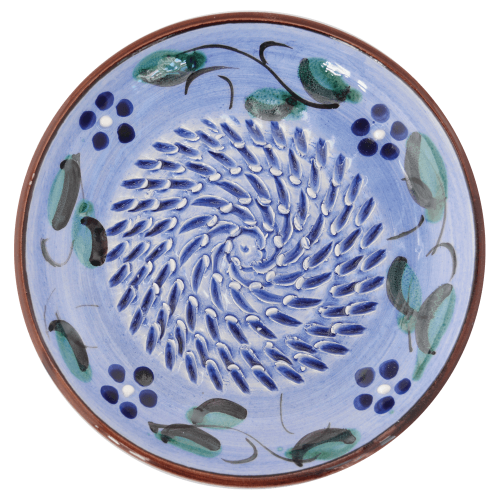 All of our Spanish ceramics are triple glazed, oven, microwave and dishwasher safe. 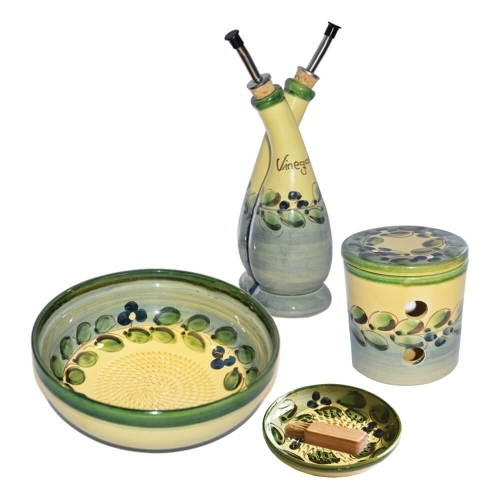 This stylish Spanish range of ceramics will bring style and flavour into any kitchen. The Little Spanish Grater Plate, Rasping Bowl and Garlic Keeper come with an instruction card. Brush is included.